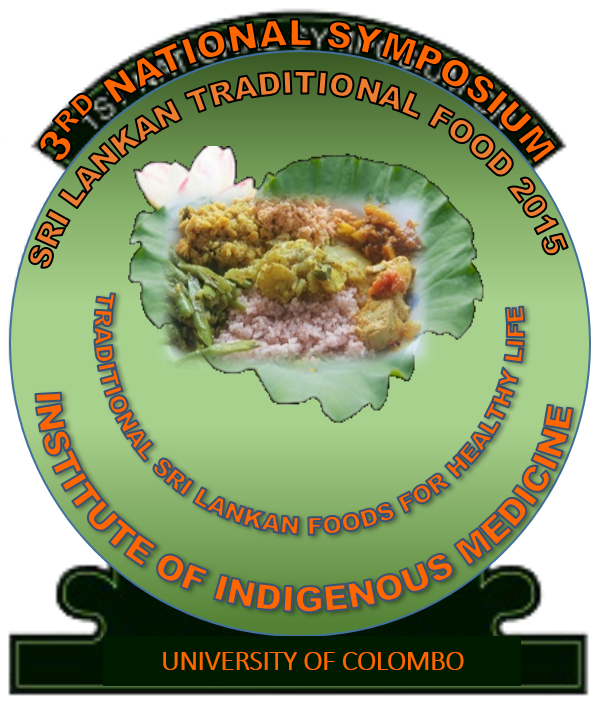 We extend our cordial invitation to participate in the “3rd National Symposium 2015” organized by the Institute of Indigenous Medicine (IIM), University of Colombo, Sri Lanka on 05th September, 2015. The aim of the symposium is to encourage academics, medical officers, young researchers, and students to collaborate with traditional practitioners in multi-disciplinary fields who prescribe traditional food in their daily practice. It will also provide a venue for participants to openly discuss and learn more on traditional food particularly their underutilization so as to find a way for their proper utilization. Modernization, urbanization and economic development has lead to paradigm shift in the diet in Sri Lankan community. The main source of Sri Lankan traditional food from plant origin and also it is rich in protein and fibers. But the western pattern of diet which is high in sugars, fat and animal sources of food. This shift from traditional diet to western diet has been a key contribution to non-communicable diseases such as Diabetes, Coronary Heart Diseases, Hypertension, Cancers, Strokes etc. Therefore it is our duty to give concern to reverse this nutritional transition for healthy community. We hope this symposium will be effect to make aware the community on traditional food so as to lead a healthy life.